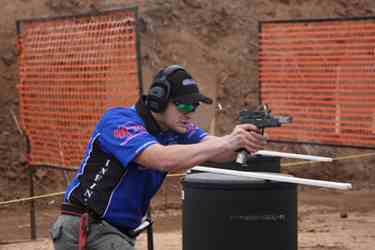 This week on the podcast, we sat down with Chris Tilley, just a couple days after he got home from winning the 2015 USPSA Open National Championship. It’s funny, Chris lives right here in the Raleigh area, and we’ve never had him on the podcast before. Anyways, we talk about how he got into the sport as a junior shooter, and quickly rose to a competitor that’s known around the world. Lots of good stuff in this interview, check it out and tell your friends.